I have the same planer and it too was damaged in shipping. Grizzly made it right no questions asked. This is one of the reasons I love the Grizz as a supplier. I’ve purchased a lot of gear from them and never had a problem they couldn’t resolve in one call. One accessory you should add to your planer is a Wixey digital indicator, no more bending to read the sight line or guesstimating on the fly. MPO414 & Mark, when your business model requires that everything be shipped to your customers you had better make certain that shipping issues NEVER detract from your customer satisfaction. I have 3 Grizzly tools and shipping was an issue with one, and it was promptly resolved to my satisfaction. I have 4 Grizzly tools, my new 15” planer came out of the freight truck, layed over on its side. I noted the damage to the planer on the freight bill. I took several pictures, and sent an email off to grizzly. The same morning I got an email back and a phone call. You cannot ask for more than that. I have the same planer and it too was damaged in shipping. Grizzly made it right no questions asked. This is one of the reasons I love the Grizz as a supplier. I ve purchased a lot of gear from them and never had a problem they couldn t resolve in one call. OH and add me too! I love me some Grizzly. I’m up to five tools and have the sixth picked out. And yes two of them needed replacement parts, One had a belt shield smashed in shipping and another a mis-machined part. Both issues resolved via phone and email with out question. This is all great news to hear! I should add that I also received 2 other pieces of Grizzly equipment for Christmas from my wife and those did show up without a scratch. I like hearing that others have had similar experiences with Grizzly’s quality customer service as I too have my next 15 pieces already picked out (wish list). And thank you for the tip on the WIXEY gauge, I will certainly look into that. 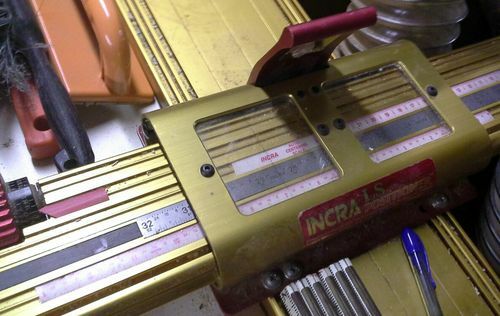 Between the Wixey readouts and the Incra fence & miter gauge you can work wood to metal cutting standards. If I need a slot for a .125” tab, I can set the saw to .130” and get an honest .005” clearance. And I can reset everything and come back to a setting exactly with no ‘smudging’ the fence a literal hair. Setting & returning to a cutter height is a snap! Incra fence locks to 1/32 +-.002 every time and has a tuning knob (partially visible at left) for .001” tweaks. 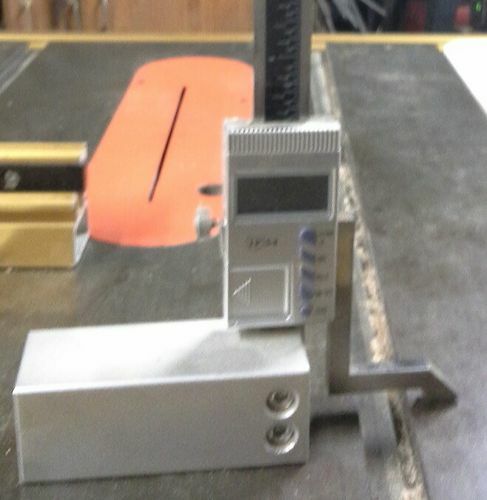 You gotta believe me when I tell you that these upgrades will take your woodworking to the next level. It’s pretty good to know a company actually cares about its customers. I’ve been meaning to buy a new power saw, and now you can easily guess who I’m going to order it from :D. I’s funny because my cousin recommended this company recently and now I get yet another good recommendation. Would definitely try Grizzly Industrial out. I was a manager of a customer care center for many years (now retired). I have Grizzly equipment and have been very happy with it. I’m very happy to hear about the service you received. Today, every company SAYS they have the greatest customer service but I find that most don’t have a clue about what customer service even looks like! Yet, they all want you to fill out their damn survey! Nice that you gave Griz a shout out, these are the companies we should be giving our money to. Congrats on your new planer! Awesome they have treated me well in the past like you. I have to say they are trying to do things right! Now this is an opinion I can trust. Unlike the reviews on all those flashy websites.